Sanitair® Ipswich. 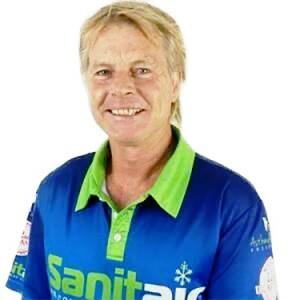 Rob Walters is our local Sanitair® business owner operator servicing Ipswich. For a FREE Health Assessment call Rob on FREE CALL 1800 130 168 and enter your post code to speak with him directly. A Sanitair™ winter and pre summer clean and sanitise will make sure your air conditioner is clean, healthy and ready for summer minimising the occurrence of any summer disasters. A full Sanitair™ clean and sanitise will not only assist in the prevention of condensation leaks but it will also make your system run quieter, smell better and you will enjoy savings of up to 28% off your running energy costs. Call your local Sanitair™ Licensed Technician for their current introductory offers, for a full Award Winning service that takes approximately 1 hour to complete. Rob can come to your home or work and offer a FREE Health Assessment on your air conditioning system. 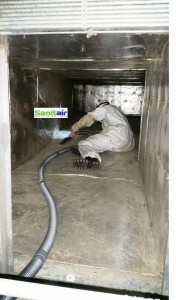 Indoor Air Pollution is BAD for business, put Sanitair™ Ipswich to work to rid your air conditioning with professional air con cleaning in the Ipswich region. The irritants inside the air conditioner are airbourne and for those with allergies or asthma; it’s even worse. Mould Spores, Bacterial Contamination, Odours, and other germs can make you sick. You can help, air con cleaning Ipswich, Sanitair™ will professionally rid your system of these harmful contaminants and you will notice the difference. Ipswich is an urban region in south-east Queensland, situated on the Bremer River it is approximately 40 kilometres west of the Brisbane CBD. Ipswich is Queensland’s oldest provincial city so when you visit expect a memorable experience. The Workshops Rail Museum is a must-visit as it offers interactive hands-on exhibits, multi-media displays, steam locomotives and massive industrial machinery. Art lovers will enjoy the Ipswich Art Gallery, or get your motor running at the Australian Motorcycle Museum, fly high with Pterodyactly Helicopters or float about the beautiful Ipswich in with scenic balloon ride.